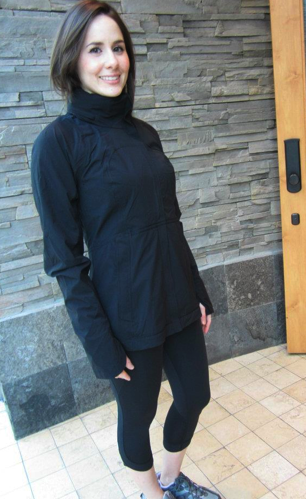 Thanks to a reader for writing in to share that she was told the Run: In the Rain Jacket will be coming out in Dazzling. In black I’m not very interested in this jacket even though I really like the shape. The price at $178 and it’s lack of reflectivity make it a no go for me but it sure will be tempting me in Dazzling. The Ride On Jacket I saw today was Dazzling but that jacket looked like a fire marshals coat when you combine the shape of it and the color. "New! Black Wee Are From Space Print Run: Chase Me Crops"